Health Benefits of Sardines for Dogs - Can I Give My Dog Sardines? Sardines are a highly nutritious, oily cold-water fish that comes with powerful anti-inflammatory benefits. Sardines are small in size and safe to offer dogs on a regular, weekly basis because they feed on plankton. This means that sardines don’t store large amounts of toxins like mercury in their bodies. That’s the case in larger fish such as tuna and salmon which feed on fish that’s been contaminated by industrial pollution. The latter two should be fed in moderation because of their higher content of toxins. I fed my boxer mixes Missy & Buzz salmon about once a month, while they ate sardines on a weekly basis. 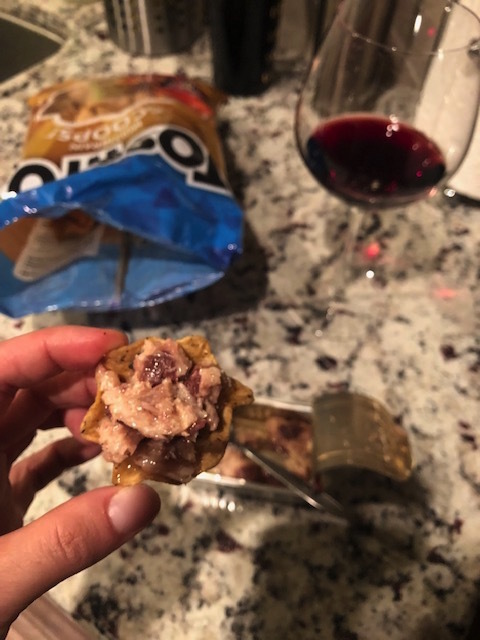 I personally love eating canned sardines myself, and I’ll either eat them straight out of the can or I’ll mash them up a little and then scoop them into multi-grain Tostitos, along with a glass of red wine. Now I do the same with my canine pet sitting guests Lila & Rocky, and they absolutely love their fishy treat! 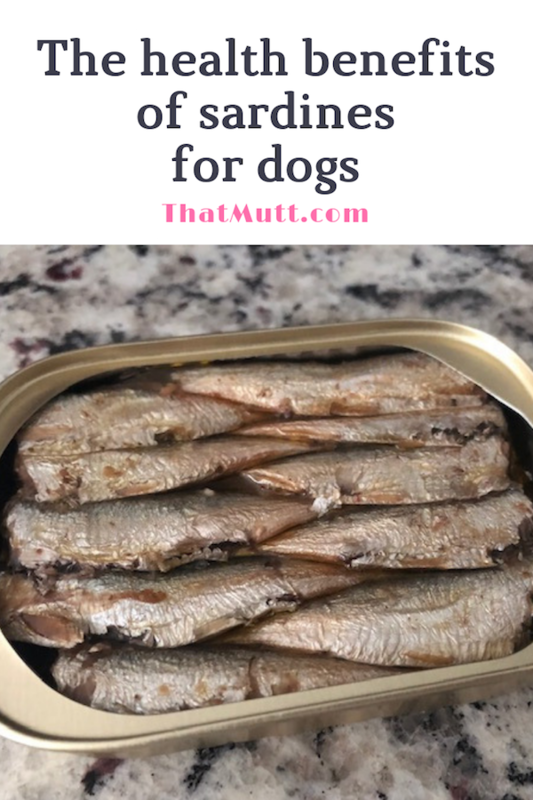 Sardines for dogs – how much to feed? 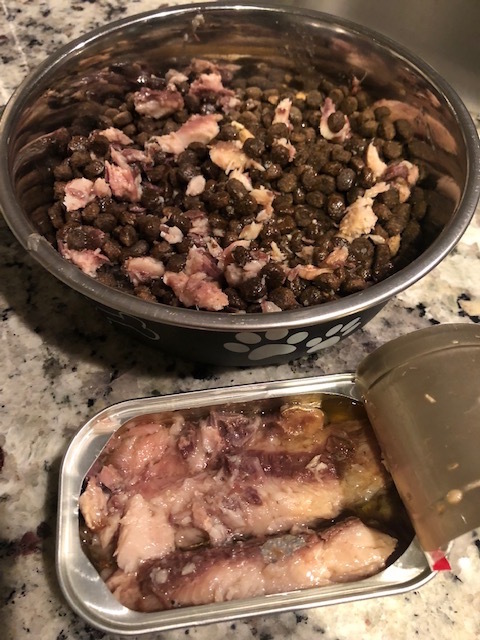 Renowned dog nutrition expert Steve Brown recommends feeding 1/4 can sardines once or twice a week for a 40 lb dog, meaning sardines can account for a small percentage of a dog’s overall weekly food intake. For raw fed dogs this translates into 5-10% of the 80% muscle meat formula because it’s a very rich and oily food. 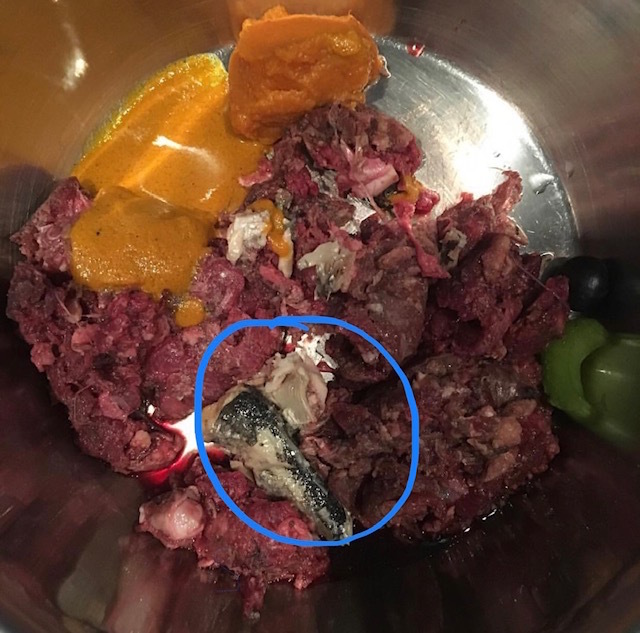 Reminder: A balanced raw meal for dogs consists of 80% muscle meat, 10% organs, and 10% raw meaty bones with the option of adding some pureed veggies and/or fruit. 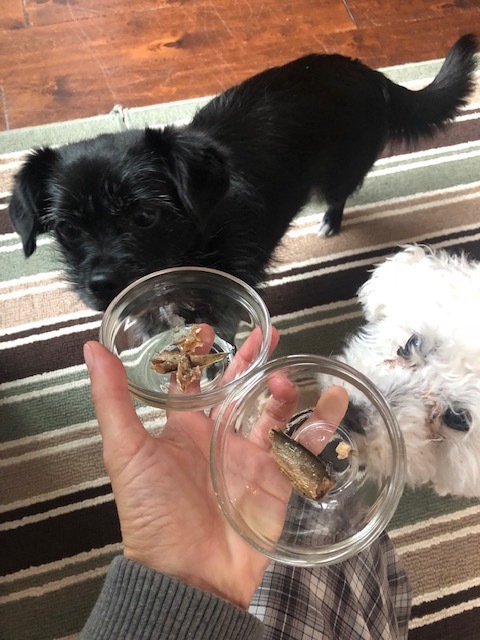 Sardines can be added to a dog’s raw meal, fed as a kibble food topper to entice a picky eater’s appetite, or as a stand alone snack a few times per week. Remember to always introduce new foods slowly to avoid an upset stomach. Tip: Sardines can also be fed to cats and kittens! Mix sardines with your cat’s raw meal, canned meal or dry meal! Sardines can be bought canned from grocery stores either in water or in olive oil. For dogs, it’s best to avoid the kind that’s been canned in condiments such as mustard or ketchup, as well as those in soybean oil. Also make sure to opt for a brand with a low sodium content. Ideally you’ll want to feed wild caught sardines to help promote their sustainability, and to ensure that you’re feeding the kind that haven’t been treated with antibiotics, pesticides, and growth hormones, which is how farmed sardines are raised. Farm raised sardines are also typically fed an unnatural diet of grains which makes them a lot less nutritious than their wild-caught counterparts that feed on plankton. You can buy canned sardines in bulk from Amazon, but they can also be purchased raw frozen from online raw feeding retailers. The ones I typically buy are King Oscar sardines that have been wild-caught in the North Atlantic, and that come with a low sodium content. Their price is $2.79/can at my local grocery store, but they’re also available on Amazon, both in olive oil ($34.85 for a 12 pack) and in water ($31.78 for a 12 pack). There’s definitely no need to spend lots of money on fish oil supplements if you’re adding sardines to your dog’s diet. Canned sardines’ low price makes them a budget-friendly alternative to bottled fish oil supplements or fish oil pills which tend to be more on the pricey side. They’re also more convenient to store since they don’t run the chance of turning rancid like fish oil does once it’s been opened. 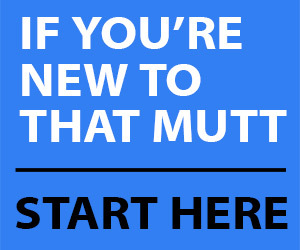 Does your dog (or cat!) eat sardines on a regular basis? What about yourself? Can’t agree more. Small oily ocean fish like anchovies or sardines make an excellent treat or food supplement. Our Vizsla absolutely LOVES them! My cats LOVE their weekly sardines. I always thought of them as gross but I shared with the cats the first time I put theirs out. Now I love sardines too. Haha, that is AWESOME! Welcome to the human sardine lovers club!